You hire a candidate who seems perfect on paper and who seemed friendly in the interview. But after a few weeks on the job, they’re not working out. They don’t work well with the team, they gossip, and are arrogant. They’re a toxic employee, and they’re poisoning your team. Hiring a toxic employee is more costly than you think. A study conducted by Cornerstone OnDemand found that good employees are 54 percent more likely to quit when they work with a toxic employee. Considering that toxic employees can cost you some of your best workers, the study estimated that hiring a single toxic employee costs about $12,800, compared with the average hiring cost of $4,000. 1. What would you change about your previous job/employer? The toxic answer: A tell-tale sign of a toxic employee is a candidate who whines and complains about their boss, co-workers, and their job in the interview. Anyone who dives into a laundry list of faults about their previous job is someone who will complain about multiple things while on the job. Toxic employees can answer this question more subtly, as well. Beware of the candidate who pinpoints the problems of their workplace on a specific person or who speaks ill of their coworkers. These professionals aren’t team players and will be quick to throw others under the bus when things go wrong. On the other hand, avoid the candidate who says they wouldn’t change anything about their job or employer. The candidate wouldn’t be looking for a new job if they loved everything about their current one. These candidates are faking it, and you don’t know what else they’re being phony about. What to look for instead: No one likes everything about their job, and there are things that need improvement in every work environment. Although you’re asking candidates to speak about negatives, look for those who do so without complaining. They speak about office problems overall, and don’t blame them on any particular person. They speak honestly, but professionally about the changes they would make and focus on the positive outcomes of those changes — not the negative issues. 2. What do you love most about your current/previous job? The toxic answer: Toxic employees love vacation days, free food in the kitchen, and high salaries. Employees should enjoy the benefits and perks of their jobs, but it shouldn’t be their main motivation for work. Toxic employees don’t care about their work, and only show up for a paycheck. After all, evidence from the Cornerstone OnDemand study suggests that toxic employees are more focused on the quantity of the work they produce than the quality of that work. A candidate who only cares about superficial aspects of a job isn’t engaged, and won’t be motivated to do their best work. In addition, watch out for candidates who talk about the awards and recognition they receive on the job. These candidates may only be motivated by rewards, not the work itself. What to look for instead: Look for candidates who are passionate about their work. These employees find joy in their work and the impact it has. These candidates will talk about the challenges of the job, the outcomes of their work, or their interest in the industry. Quality candidates may also discuss aspects of their working environment they enjoyed that go beyond superficial perks. They talk about the great collaborative team, how they loved the open communication between coworkers and managers, or how everyone worked together and pitched in during stressful times. Although these candidates aren’t expressing their passion for the job, they’re showing that they care about the team and how the office environment impacts their work, not how perks benefit them. Toxic employees LOVE vacation days! How else can you #SpotAToxicEmployee? 3. Tell me about a failure or a time you could have done better. The toxic answer: Toxic employees have a hard time recognizing their faults and may be too proud to reach out for help when they really need it. Arrogance is a signature trait of toxic employees, and job seekers with this trait won’t take corrections, advice, or criticisms from their coworkers and managers, recognize and learn from their mistakes, or seek help to remedy a situation. In fact, the Cornerstone OnDemand report found that professionals who are notably over-confident about their technical proficiencies were 43 percent more likely to engage in toxic behavior. Avoid job seekers who admit a failure but are quick to blame others for the situation. Similarly, beware of candidates who claim they solved their own problems, without the help of others. These professionals won’t ask for help when they need it, and they won’t appreciate their team members who help them out. In addition, eliminate candidates who don’t think they have ever failed or could have improved their performance. These professionals have unrealistic perceptions about their skills and can’t recognize their faults. If they can’t recognize problems, they won’t learn from them and grow as a professional. What to look for instead: Look for the candidate who understands their strengths and weaknesses and takes responsibility for their mistakes. These candidates recognize their faults and move on. They don’t see these situations as failures but as learning experiences. In their answer, they focus on what they learned from the situation and how the would handle it differently now. Non-toxic candidates won’t have a problem talking about their team members who helped them out, their managers who offered tips and advice, or how the team worked together to handle a crisis. 4. What has been your biggest success so far? How did you achieve it? The toxic answer: Toxic candidates are quick to cast blame and even quicker to accept praise. If the team wins, they count it as a personal success, not as a team effort. Avoid candidates who brag about their skills and achievements without recognizing the help they received from others along the way. Those who describe their success in terms of “I”, not “we”, aren’t team players and will take the credit for any work your team does together. In addition, watch out for candidates who only discuss personal gains as achievements. They talk about their big promotion or award — they don’t talk about the work that went into earning that recognition. They’re not excited about a project or the quality of their work, they’re excited about the rewards. What to look for instead: Candidates can and should be excited about their personal achievements, but they understand that the success is not all about them. They recognize those who helped them reach their goals and the hard work of their team. Look for candidates who are genuinely excited about their work — their success might be something big like landing their first new client or small like improving communication and productivity among their team. Whatever their accomplishment is, it should show that they are interested in doing their best work, and the impact it has on their employer, team, and workplace as a whole. They’re not absorbed with how the achievement benefits them. Ask these 7 #InterviewQuestions to screen for toxic employees! 5. What is your ideal workday like? The toxic answer: Toxic employees are at the center of office drama and are the ones spreading gossip among the team. Although you want your team to socialize, beware of candidates who place too much importance on chatting with coworkers. A few seemingly harmless words can quickly evolve into a toxic environment. In fact, 32 percent of employees surveyed by CareerBuilder in May and June have witnessed their coworkers form a clique, while 30 percent have seen them start a rumor about another co-worker. Toxic employees will focus on the social aspects of their workday, not the actual work. What to look for instead: Friendships and good relationships are important to the team and to job satisfaction, so look for candidates who spend time socializing without letting it become a distraction. You’re looking for the right balance between a team player and an individual worker. This candidate will mention socializing as a part of their ideal day, but won’t focus on it. They note teamwork as an important part of their workday, but also see the importance of working alone. Look for candidates who think it’s important to form working relationships and get along with others, while completing their work. 6. What values of your previous/current employer most align to yours? The toxic answer: Toxic employees don’t place importance on the values of their workplace, and will struggle to name their own values, and those of their employers. Instead, they may try to answer the question by listing rules they agree with, in the office. But self-proclaimed “rule followers” are 33 percent more likely to be toxic employees, the Cornerstone OnDemand study found. Toxic employees don’t have a clear idea of their own values, let alone their employers’. They’re focused on the little rules, not the big picture. This emphasis on the rules may lead them to tattle on their team members, a behavior 44 percent of employees surveyed by CareerBuilder said they have witnessed in the workplace. What to look for instead: Effective professionals are driven by their values, and are aware of the values of their employers. Look for candidates who connect with the culture of their office and are passionate about their values. The best candidates will focus on the big picture, and won’t get caught up in little details. They will share similar values as you and will be a good fit for your office culture. 7. What skill are you still missing? The toxic answer: Toxic employees think they know it all, and aren’t interested in spending their time learning new things. 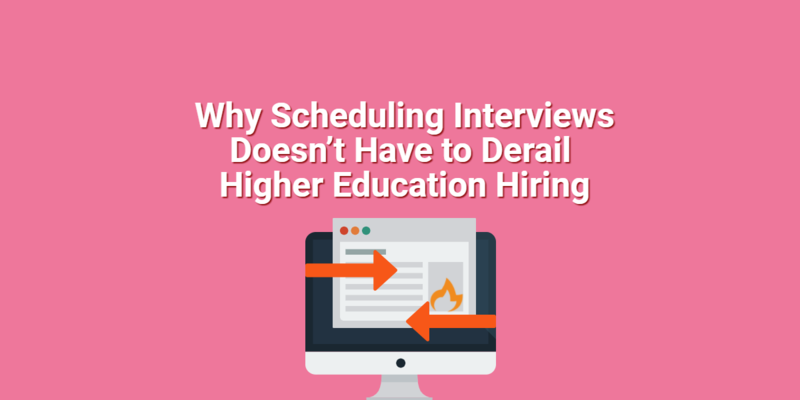 Beware of candidates who struggle to come up with an answer to this interview question. This question essentially asks candidates to disclose a weakness, and toxic employees may try to answer this question with a superficial answer. For example, they may say they need to learn how to work less or how to be less of a perfectionist. These answers show that the candidate doesn’t really have an interest in learning something new, and is just trying to look good in the interview. What to look for instead: Look for candidates who have a genuine interest in growing their skills and learning new things to continually improve. These candidates will recognize they are missing a skill that is relevant to the job or industry, such as coding or social media. Effective professionals may also be interested in learning a skill that isn’t directly related to the job. These candidates have a love of learning and interests outside of work, both of which are valuable traits in the workplace. Hiring a toxic employee can be a costly mistake. 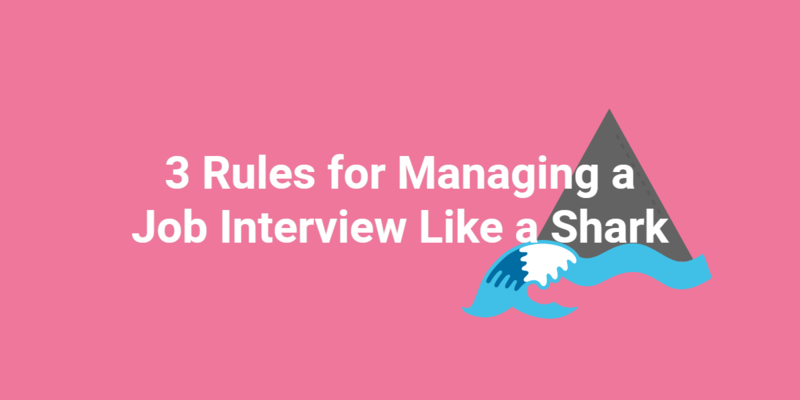 Ask candidates the right questions during screening interviews, to weed out potentially poisonous professionals and find the best person for the job. #Hiring a toxic employee can be a costly mistake — avoid them with these questions! What interview questions do you use to screen for toxic employees in the interview? Let us know in the comments below!